This is a Beautiful Mid Century Danish Modern Teak Credenza or Dresser designed by Børge Mogensen. Perfect size for bedroom storage. 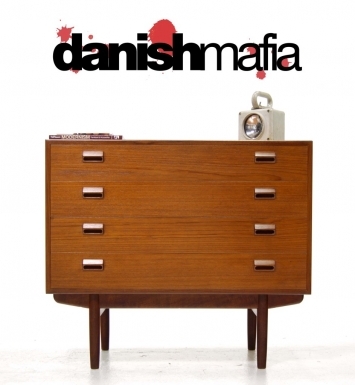 Can even be used as an Entry Chest or Credenza for your Flat Screen Television. 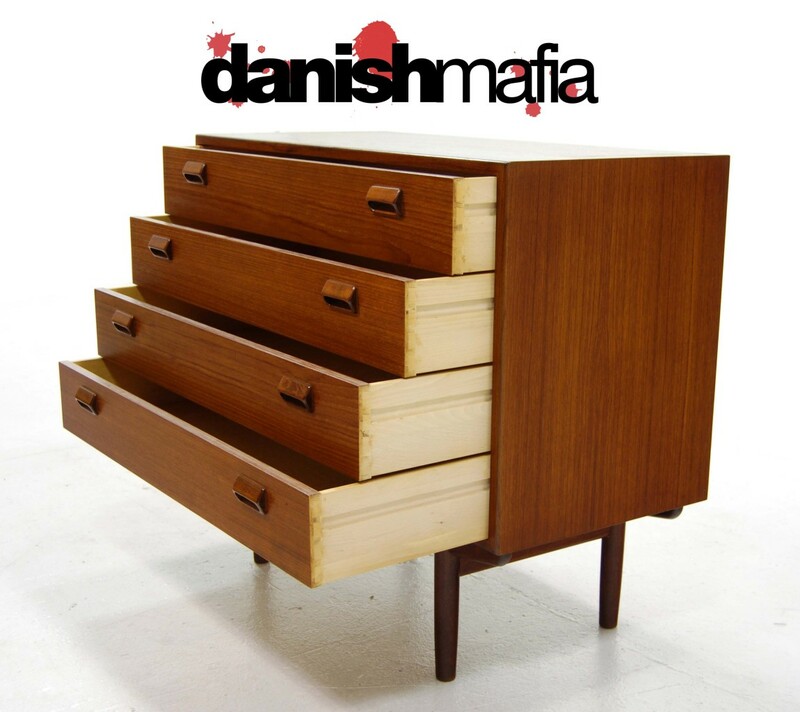 Sitting atop 4 ”Pencil” legs gives this piece the very sought after “floating” look. 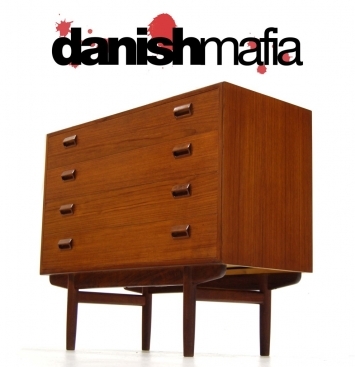 Designed by one the Top Danish Designers, you can’t go wrong! Sculpted handle pulls on all the drawers add a great design detail. 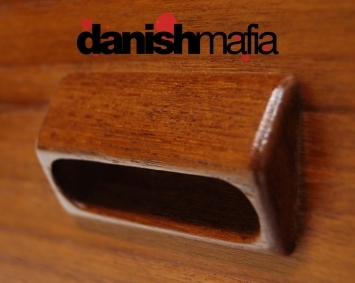 Wonderful rich Teak color and grain texture throughout. 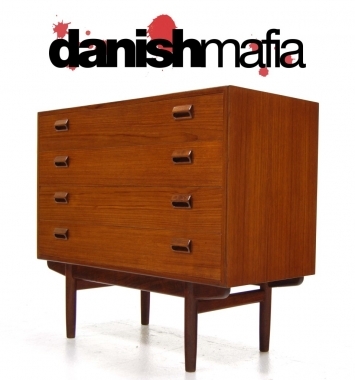 This is a great piece of vintage Danish Modern Furniture. 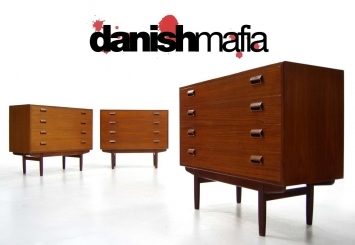 Please do your research as Borge Mogensen pieces are amoung the best of Danish Design & Construction. We have several Mogensen Credenza’s and Dressers this week, be sure to check our website for SALES !! Overall condition is Excellent. This piece is very clean for its age! Some light UV Fading to the top. 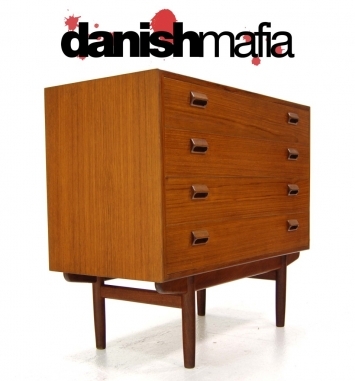 If you study hard, expect some minor vintage marks, but nothing that takes away from the value or beauty of this HIGH END Danish Modern piece. See our detailed photos for condition as we always try to show the worst of any age related wear. #1- We can have this piece Custom Pro Packed and Shipped right to your home for around $165. Please contact us with your zip code for an exact quote prior to bidding.